This letter starts to shed some light on the female descendants of MENARY in USA. I will add more anon. Of interest is the description of her experience of the American Civil War. Updated November 5, 2011 - footnotes and pictures added. Updated: January 16, 2012 - new footnote info - thanks to Linda Leonard. 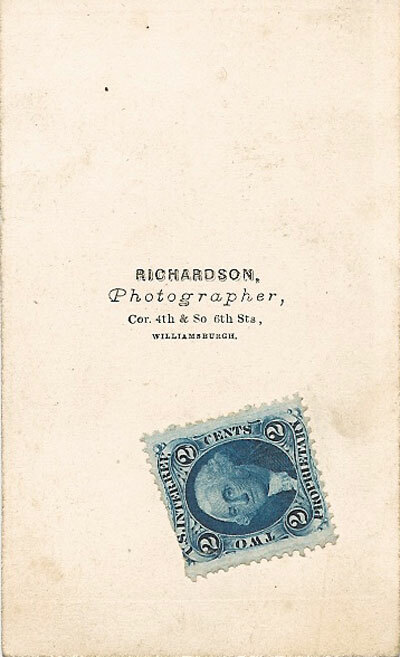 Always a few more clues on the back of photos. 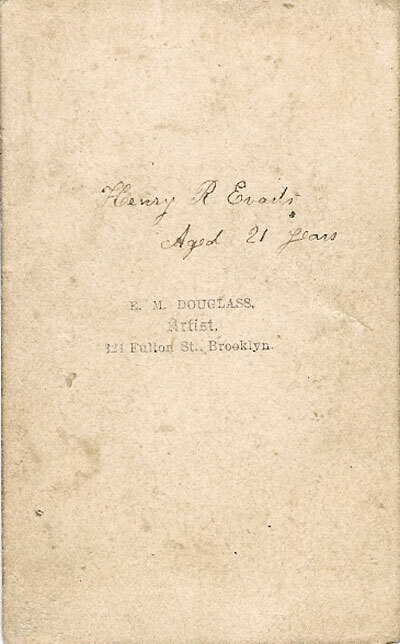 Henry R. EVARTS was included on the page of the album facing the previous picture. I would assume the photo is dated about the time of the letter beneath. Your kind letter lies open before me and ought to have been answered before this time. Brother James  wrote several weeks ago, and I thought I would wait a little while, hoping to give you some good and interesting news concerning the state of our County. I was happy to hear from you, and wish to thank you for the likeness of your father also for the bouquet, although I did not receive it. I think it must have slipped out, as the card had worn off the edge of the envelope. We will send you a paper this week containing an account of the recent battles which have taken place and the victories our party have gained, we are encouraged to think that the war will be a short one, and hope that peace will soon be proclaimed throughout the States. You must not believe all you read in the English papers about the war for they do not represent American affairs in their true light. Have you rec’d Alex Bright’s  speech delivered in one of the manufacturing towns in England – he seems to understand the affairs of the Country better than any person I have heard or read of. You would not suppose there was any war could you walk the streets of New York or on our own pleasant City, and see everyone pursuing their own business or pleasure. I wish you could have gone with me to Central Park last Saturday and see eighty thousand people gathered to skate or look on. Skating seems to be the favourite amusement of the season and until last winter confined principally to gentlemen, but now the ladies join them and enjoy it finely. We have several large ponds in Brooklyn but not as large as the Central Park, they have houses built around the edge with stoves to wram them and refreshments all under the direction of the park commission so that everything goes on in an orderly and quiet manner. PS Have you any record of Grandma’s birth? We know very near but would like the date if it is on record. Jane CALVERT (née MENARY) b. 1833. She was a daughter of William MENARY (1810-1867) & Mary WILSON (d. 1859). Alexander BRIGHT. This may be Capt. Alexander BRIGHT of the Penascola Guards. Martha. This is not Martha MENARY (b. 1835) who married Jacob JENKINSON. There must be another. John FOSTER- presumably related to Thomas FOSTER, husband of Anne Jane MENARY. 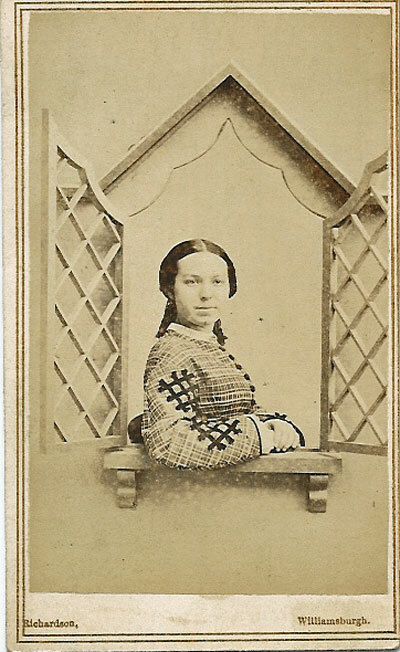 Anne Jane MENARY (1830-1876) wife of Thomas FOSTER (married 1850). She was the eldest child of John MENARY & Phoebe KILPATRICK. Her first child, Margaret Anne FOSTER was born in Maghery Kilcrany, Co. Armagh on Septmeber 15th, 1853 (SOURCE: Aghavilly Church of Ireland Register). They later moved to Canada where their next 4 children were born in Ontario. She died in Morrison, Musoka February 20, 1876. John (?) - This is probably John FOSTER - given the context. Alexander MENARY (1791-aft 1862), son of Alexander MENARY (1750-1806) & Martha HERON (d. aft 1817). Jane WILKINS née MENARY. See her letter of February 8, 1817. She was a daughter of Alexander MENARY & Martha HERON. 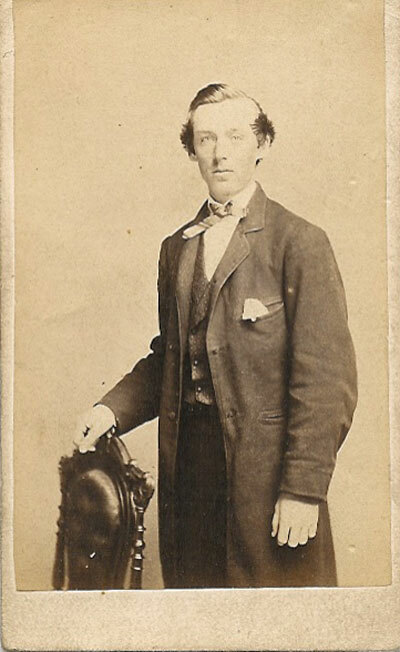 If I am correct about who Jane is, then her father would be William MENARY (1810-1867). If I am correct about the Jane this letter is addressed to, then this would be Martha MENARY (b. 1835) who married Jacob JENKINSON. Carrie G. EVART is a granddaughter of Robert WILKIN and Jane MENARY (1775-1862).